Hello! Are you always short of time like I am? 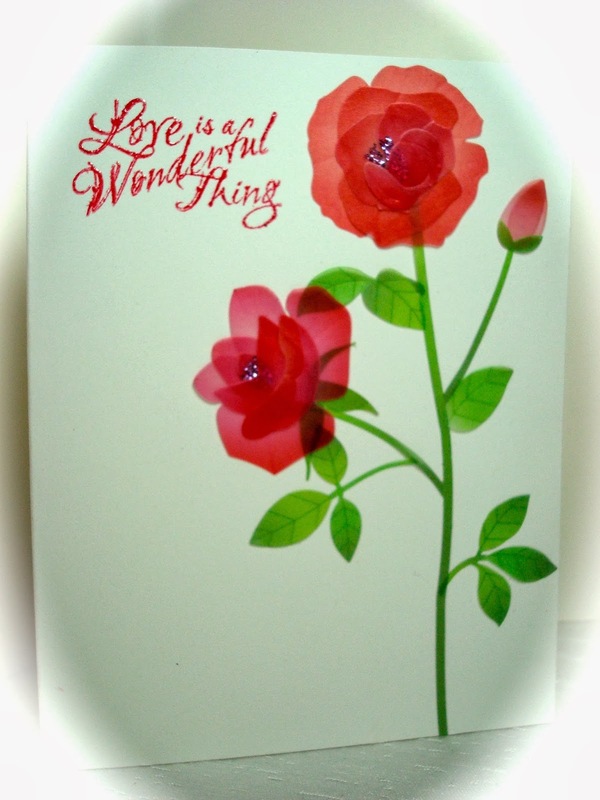 Do you still want to send out special, hand made cards to your loved ones? I know I don't want my lack of time to stop me from commemorating a loved one's birthday or anniversary, so when I'm pressed for time I use interesting stickers that have a lot of dimension or detail. It only took me about five minutes to put this card together because I used a dimensional vellum sticker from Jolees for my main image. Then to add just a little more interest I stamped a sentiment from Crafty Secrets in the upper corner and embossed it with clear embossing powder. I probably could have added a ribbon or bow on the bottom, but I wanted to be able to mail it with just a single postage stamp and not have any bulk which would require me actually going INTO the Post Office to have it weighed. Here is a close up of the sticker. It even has glitter in the center of the flower. I'm following your group of fans too... if you wish to follow back... thanks a lot! It's beautiful Amy. My cards, even the simple ones somehow always take forever to make and the clean up is even a longer process. Might have to check out some of these stickers, for when I need a card fast. 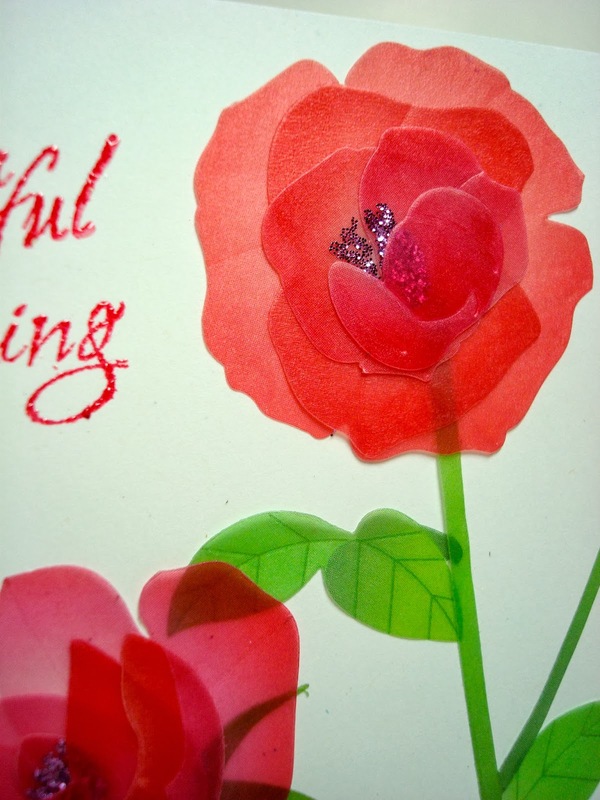 Love your 5 minute card, and anything home made is always so wonderfully received!